It is now thought that the mileage undertaken by air travellers worldwide is roughly the equivalent of 18,000 round trips to the sun each year so it is no wonder that health issues arise during these numerous journeys. Many travellers find air travel stressful. This does not simply apply to those with a fear of flying since struggling with the whole process can in itself be stressful, especially for the inexperienced and older, disabled and visually impaired. ensuring luggage is of the allowed size and weight, separating out liquids to pass through security and having details easily available if needed to complete disembarkation forms. It is essential that travellers inform their bank before going abroad so they can more quickly identify fraud occurring overseas. Some cards will not 'work' unless the bank knows where the traveller is. Scanned copies of important items such passports information, visas, vaccination certificates, medical prescriptions and doctors letters can be prepared in advance and made accessible online in case the originals are lost. This can save a lot of time when seeking replacements. A family member or friend back home can also keep these scanned copies. At the airport there may be long queues passing through security, Removing items of clothing, being scanned and having hand baggage searched can all be stressful - more so if the staff themselves are very busy, also stressed or unhelpful. 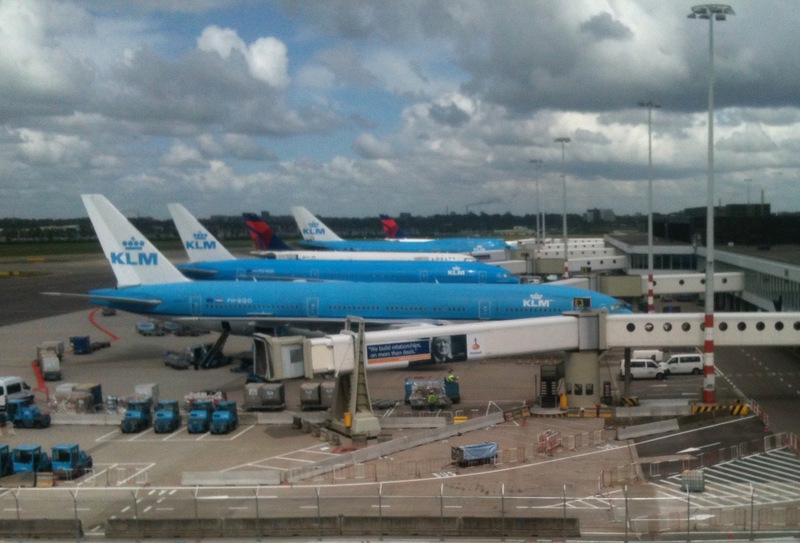 There are often long distances to walk to flight gates and long waits in uncomfortable seats. This is all without the added complications if flights are delayed or cancelled. Then there is the long and exhausting journey itself when aircraft noise, crowded cabins, inability to move freely around, the dry cabin air, limited toilet facilities, coping with eating from small plastic dishes in cramped conditions. Having said all this some people seem to enjoy the experience! Cabin air is partly re-circulated and partly drawn in from outside the aircraft. It has dry air with a low humidity to protect aircraft equipment. This leads indirectly to increased loss of moisture through the respiratory tract and skin. 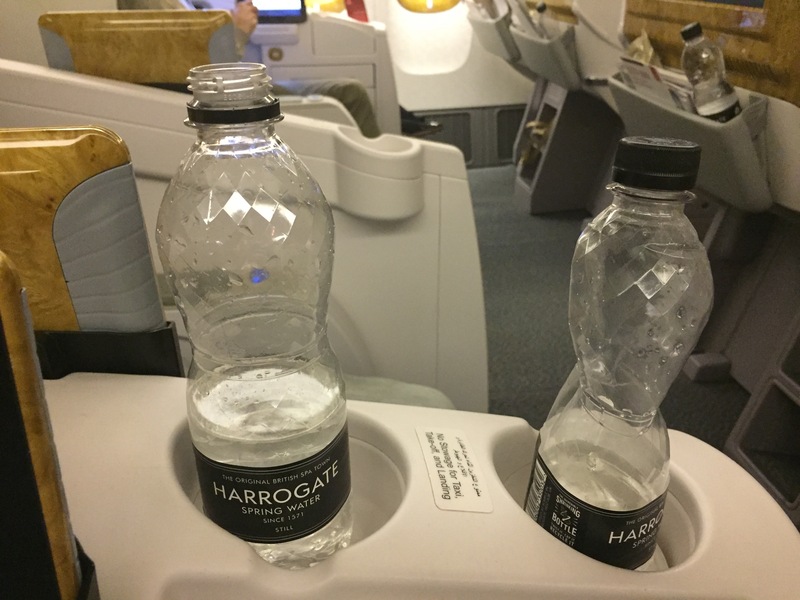 On long flights dehydration can develop if adequate fluid intake is not maintained and can be made worse by drinking alcohol. Drying of the mucous membranes normally leads to thirst but the sensation of thirst is reduced as we get older. Dehydration can increase the possibility of venous thrombosis. Recirculation of air is most unlikely to result in the spread of airborne infection as the re-circulated air is filtered removing particles much smaller than bacteria and viruses. The air pressure in aircraft is kept to roughly the equivalent of 8000 feet above sea level which leads to discomfort and 'popping' of ears usually on the descent - especially distressing for infants who commonly cry because they do not understand what is happening. This lower air pressure can cause difficulties for those with chronic respiratory problems and by arrangement oxygen may be arranged for those needing it through contacting the airline concerned well in advance. Inability to equalise air pressure across the eardrum, sometimes due to a viral upper respiratory infection, can give rise to distressing ear pain on the ascent, but especially on the descent. General advice about fitness to fly can be obtained from the traveller's doctor but airlines also have regulations, which can be obtained from the medical departments of the airlines concerned. If travellers have chronic lung diseases such as chronic obstructive pulmonary disease (COPD) they may need to contact the airline in advance to request supplemental in-flight oxygen. If there is a problem with bladder control it may be possible to arrange a seat near to a toilet. Cabin staff are usually very helpful. See also 'The older traveller' later in this course 2 and travelling when pregnant, with children and those with disabilities in course 7 .